Well constructed with an easy velcro fastener, the Hy Stable Bandage is perfect for travel, as a dressing or a general stable bandage. Fully machine washable and comes in an easy to store and keep clean carry case. 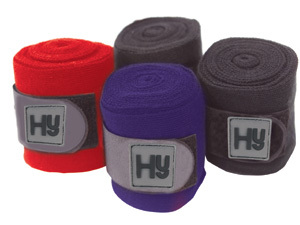 There are currently no questions for Hy Stable Bandage - be the first to ask one!